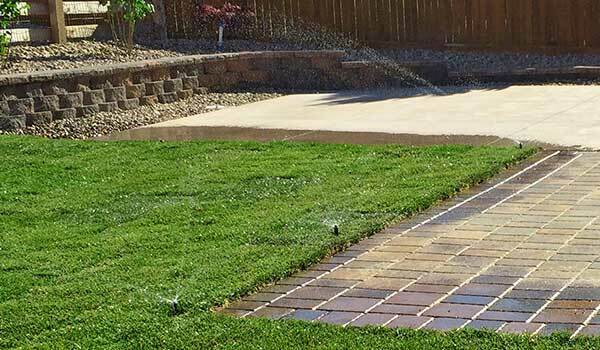 If you go through all the effort to have a beautiful lawn and gardens, you will most likely use sprinklers to automate watering and fertilizing. As may be expected, sprinkler repair is bound to be an issue as the system ages and parts wear out. In many cases, you should also consider basic maintenance as part of sprinkler repair. For example, winterization services can easily extend the life of any given sprinkler system as well as ensure that sprinkler repair costs are kept to a minimum. Ensure that all hoses and pipes are unclogged and free of leaks— No matter how hard you try, hoses are bound to get twisted or develop leaks for one reason or another. Assess valves for leakage— If you pay for municipal water, you can easily waste thousands of gallons of water a year with just one small valve leak. Optimize valve system— Depending on the size of your yard, you may need separate valves to ensure enough pressure to manage the entire system. In many cases, when you get routine sprinkler repair services, valves can also be tested for compression leaks. Consider a situation where you have a sprinkler system that covers your front lawn plus two separate gardens. Even though the system may work well enough, any loss in pressure or efficiency will soon be revealed in reduced plant growth. If you hire an amateur sprinkler repair service company, they may not be able to find leaks in the system, let alone know how to repair certain kinds of valves. Aside from costing money for inefficient repairs, your lawn and gardens will never reach their full potential for the season. Here at Water Solutions, we have been providing high quality sprinkler repair services for your neighbors. Give us a call today and find out more about how our sprinkler services can help you have the most efficient system in the neighborhood.